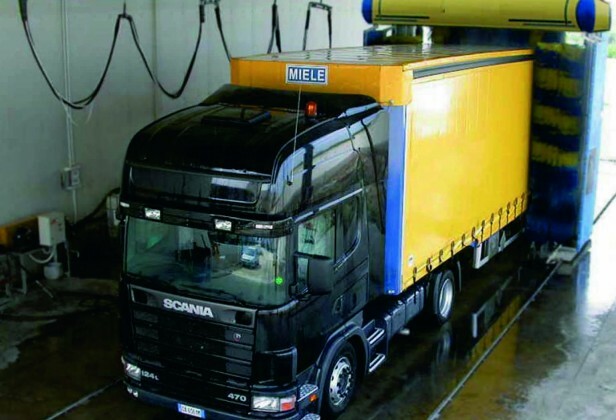 A full range of lorry wash systems is available and can be manufactured and installed to suite all types of lorries, wash combinations and fleet sizes. Constructed from corrosion resistant, rigid, galvanised frames, the two brush or three brush rollover units can be built in a variety of layouts and combinations with programmable logic control circuits catering for the washing of artic or rigid sided vehicle fleets. Designed to meet your specifications and lorry wash needs with a choice of two, three or five brush wash system and either a hydraulic or pneumatic installation, this demonstrates the versatility and power of Morclean’s latest lorry wash range. Washing irregular vehicle shapes and sizes. A gantry wash system with a brush-less fixed or moving arch system can be constructed to wash irregular vehicle shapes and sizes.